It was, ostensibly, a major announcement deserving of two simultaneous press conferences across Canada—in Toronto and Vancouver, where the housing crisis has crippled livability and quality of life for thousands struggling with (un)affordability. Alluding to transformative change, Prime Minister Justin Trudeau, in Toronto, and the Hon. Jean-Yves Duclos, Minister of Families, Children and Social Development, in Vancouver, unveiled Canada’s first-ever National Housing Strategy. This was a hopeful opportunity to articulate and present a coordinated approach between all levels of government (municipal, provincial, federal) to address one of the most pressing issues in Canadian society today: homelessness and poverty. The ambitious plan parcels $40 billion in spending over 10 years with the goal of cutting chronic homelessness by 50%. Though a step in the right direction, it falls short on a number of accounts; firstly, the timing: much of money will not beginning to flow until 2021 (after the next federal election). This ignores the cruel reality that people now, at this very moment, are suffering through a homelessness and housing crisis wherein thousands are living dangerously on the streets in the freezing cold without the basics of life. Many may not even survive to 2021 when government largess begins to fund shovels in the ground and mobilize services. Now to the substance of the Plan. “Launching in 2020, the Canada Housing Benefit will provide affordability support directly to families and individuals in housing need, including potentially those living in social housing, those on a social housing wait-list, or those housed in the private market but struggling to make ends meet,” read the official Plan document. This is essentially a rent supplement—money the government provides to help people who are struggling to pay their rent. The government estimates it will deliver an average of $2,500 per year to each recipient household. But this benefit is contingent on provinces signing on and agreeing to contribute to the funding that will go to help individuals in need. There is no guarantee of financial relief for struggling families; and yesterday, even Ontario’s Housing Minister, Peter Milczyn, was shy on a firm commitment from his province. Premier John Horgan has yet to comment publicly on whether British Columbia will chip in to the funding agreement. We also have concerns that with less than one per cent vacancy in major cities like Vancouver and Victoria, this benefit could drive up rents in the lower end of the housing market, leaving thousands who don’t qualify with higher bills. Subsidies, in theory, are beneficial as they afford people a measure of choice in where they live; but absent adequate social housing, a benefit such as this could artificially inflate the lower-end rental market, which would run counter to the spirit of the policy. The National Housing Strategy hopes to create 100,000 housing units through new initiatives like the National Housing Co-Investment Fund and the Canada Community Housing Initiative. This housing will be “sustainable, accessible, mixed-income, and mixed-use,” according to the federal government. But this target may be too low. The Carnegie Community Action’s Project’s Our Homes Can’t Wait study reveals that British Columbia alone “needs a housing program that builds at least 10,000 units a year in order to meet the real need and end homelessness”. And the need is ever growing. 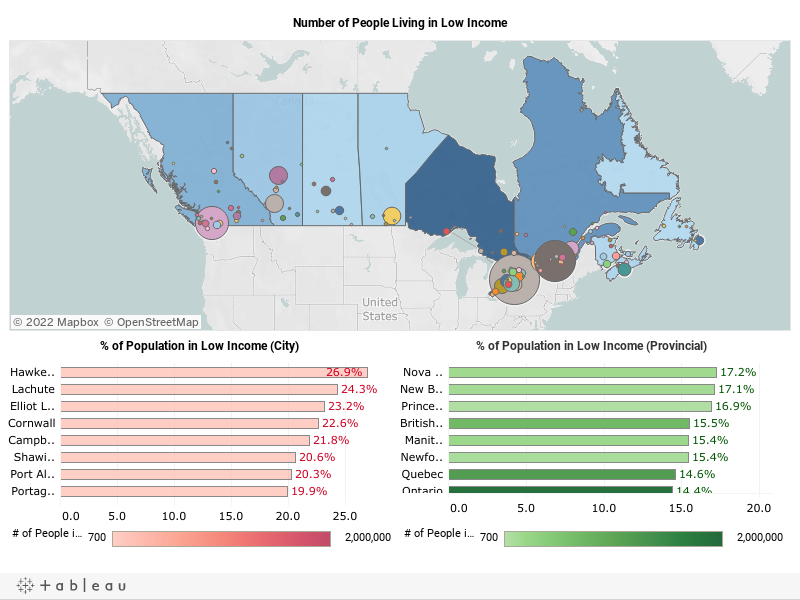 Recent data from Statistics Canada reveals there are 3,329,980 more people across Canada living in low-income households compared with ten years ago. 497,955 of those are in British Columbia, with Vancouver, Toronto, and Montreal having the greatest number of people overall struggling with affordability. Perhaps the most promising announcement was word of new legislation that could move us closer to enshrining housing as a human right, effectively giving vulnerable residents and people experiencing homelessness a mechanism to seek justice. The new legislation, as stated by the Plan, would “require the federal government to maintain a National Housing Strategy and report to Parliament on housing targets and outcomes”. In concert with this new law, the Liberals announced the creation of a Federal Housing Advocate who will examine and “recommend to Canada Mortgage and Housing Corporation and the responsible Minister, solutions to systemic barriers that Canadians face in accessing affordable housing”. But it was precisely the most promising of announcements—the possibility of giving the right to housing legal teeth—that had the fewest details. “We will do something at some point and write reports about it” is basically what they have announced—a hollow commitment in stark contrast to the significant potential this promise has to engender transformative change. It is the change that is needed now, not when governments gets re-elected. Though a positive development, Canada’s National Housing Strategy won’t provide relief for homeless people currently surviving on the streets. This community, many of whom are freezing in the cold soaking wet as you read this now, cannot wait for politicians to sign papers. They need support and leadership now.